The FCTS Sterility Test Isolator has been designed for pharmaceutical samples taken from manufactured drug batches and meets all the requirements of the FDA, EMA, WHO and associated pharmacopoeia as well as all applicable EN standards and directives and international norms. 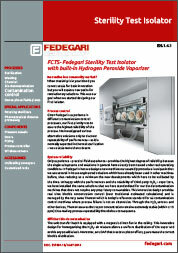 When Fedegari started designing its first isolator, the goal was assuring customers the highest process reliability and repeatability possible. FCTS sterility test isolator is equipped with the same solution that Fedegari has standardized in bio-decontamination pass-boxes, because the performances and the reliability of third party H2O2 vaporizers were not satisfactory. Moreover, with the FHPV there is no need of propietary consumables, reducing significantly operational costs. Through the H2O2 sensors and other devices, Thema4 assures that vapor concentration remains extremely constant (within ± 15 ppm) thus making process repeatability the logical consequence. The FCTS sterility test isolator is compliant with the most stringent cGMP guidelines of Pharmacopeia. It has been classified as ISO 5 FDA and Class A EU GMP. Working chamber has non-directional BA surface finishing (Ra ≤ 0.4 μm). Air-tightness is 100% guaranteed by ultra-safe doors. Equipped with an internal stainless steel trolley for material transfer from pass-box to working chamber assuring continuous loading of the isolator with materials. Customizable internal storage and racks: can be designed according to customers’ needs. 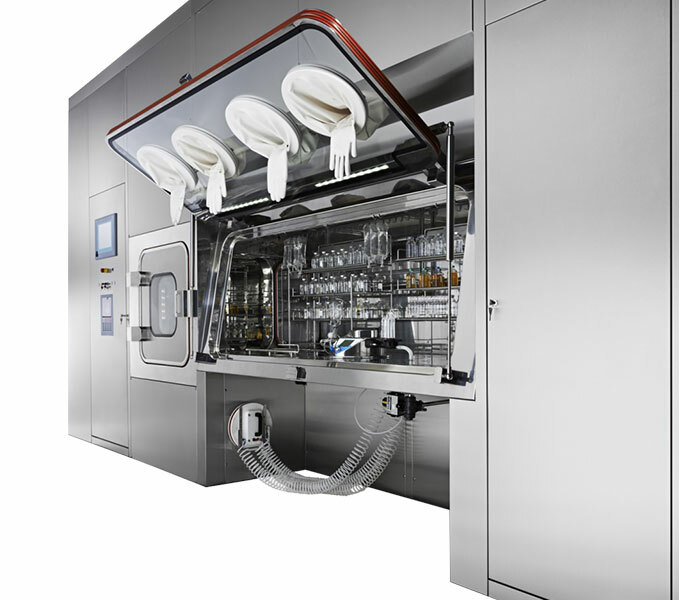 FCTS is modular: customers can choose the positioning of the pass-box, the number of working chambers and gloves. Significantly reduced operational costs: non-proprietary consumables. 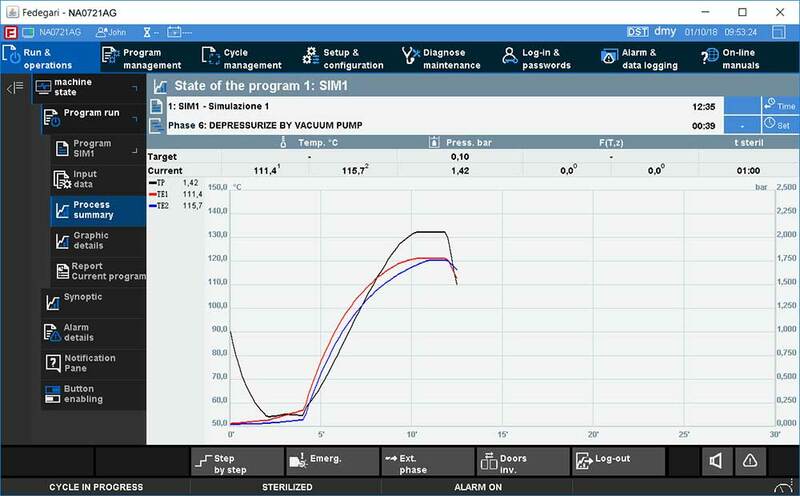 Thema4: easy integration with other Fedegari machines and SCADA systems. Cost-effectiveness: Drastically reduced validation time for cycle and load. 100% air tightness: silicon inflatable patented gasket on all doors.